Website to improve reading and understanding of texts in Catalan and Spanish. 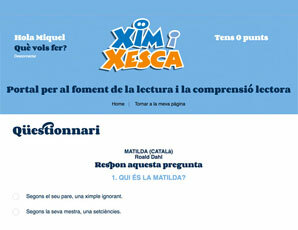 Xim i Xesca develops reading skills by asking our readers questions about the text they have read. The children are evaluated while answering and at the same time they are encouraged to keep reading by a system of points they collect. 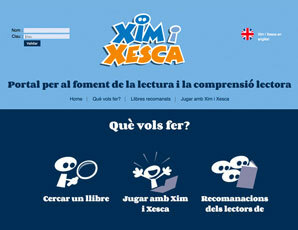 Easy and useful for teachers and attractive and fun for students, Xim i Xesca is an exciting online tool. 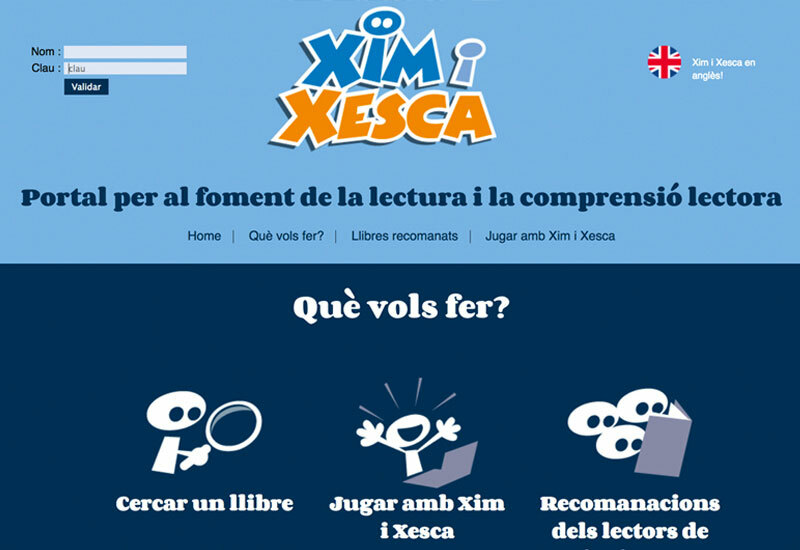 > For children Xim i Xesca is a game which motivates them to pay close attention to what they are reading and stimulates them to read more. 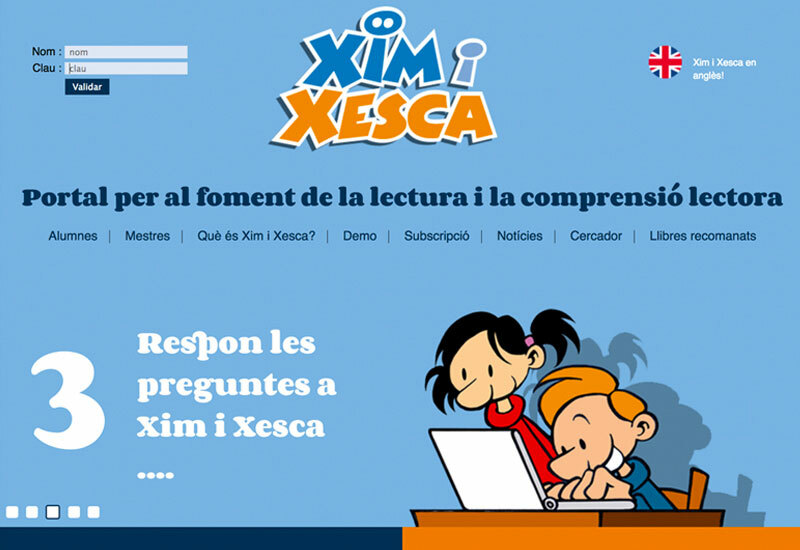 > For teachers Xim i Xesca is a tool that helps them to encourage students to read more and understand better. It also helps teachers to quickly identify any problems in children’s understanding in order to provide the help needed. 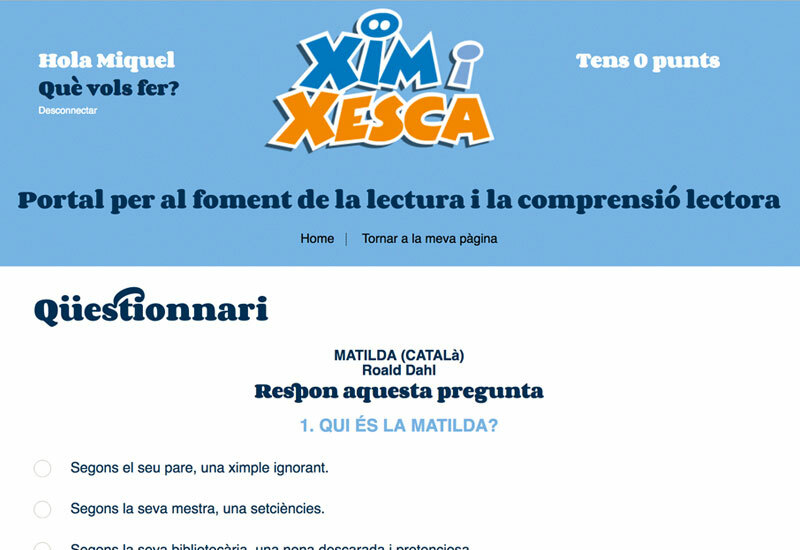 Xim i Xesca has quizzes about books in Catalan and Spanish, for readers from 5 to 16 years old. The quizzes are based on books by a wide range of publishers and authors from around the world. Enthusiasm for reading can be passed on but not imposed. 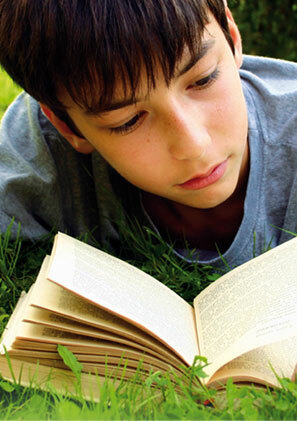 The more teachers are involved in their pupils’ reading the more the students enjoy reading. Reading is an individual act that should be encouraged collectively. 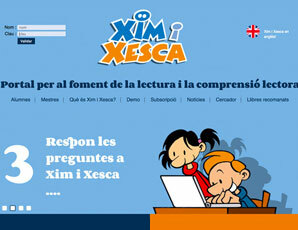 With Xim i Xesca children complete the school year reading with interest, curiosity and natural enthusiasm.